Remind me to never again move house on book deadline and just before teaching starts. But that’s over now. I have settled into a new home, where I’ve made the strategic decision to place my desk under a window in the living room, instead of tucked away in a tiny room at the back of the house. After all, I spend more time at the desk than many other places, so I may as well be right here, looking out on the garden. I’ve drafted (very roughly) Phoenix, the second book in the Firewatcher Chronicles. It needs lots more redrafting over the next couple of months, but it’s such fun. There are Vikings and Saxons and London Blitz bombs and archaeologists and all sorts of drama. I’ve also been writing a number of book chapters and conference papers and essays, mostly for academic conferences and publishers. I’ll let you know when they come out. 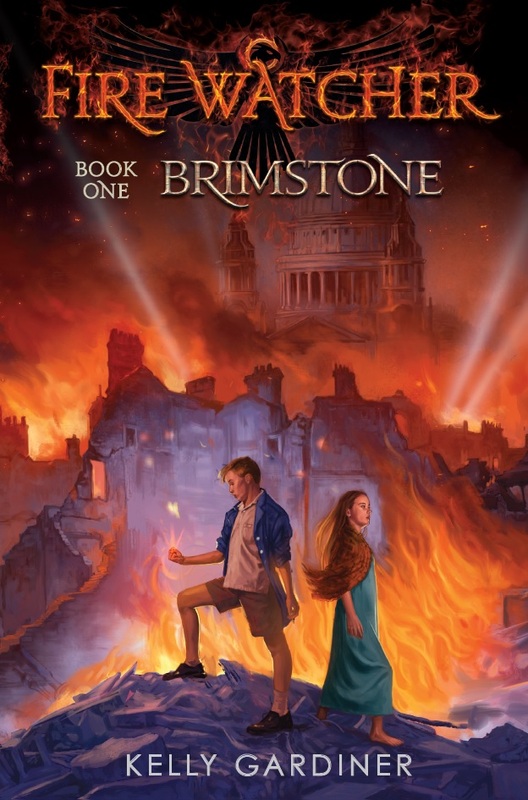 Brimstone, book one of the Firewatcher Chronicles, is at the printers! It comes out on 1 September. And for mysterious production reasons, it was all go for a while there. I got notes back from the editor, found a few errors myself, sent it all back, and then the next week, miraculously, typeset pages appeared for a last proof-read. They don’t muck about, those fine folk at Scholastic. And just look at the beautiful cover for it. I’m thrilled with the artwork by Sebastian Ciaffaglione, and the series logo by Chad Mitchell. Can’t wait for you to get your hands on this book. 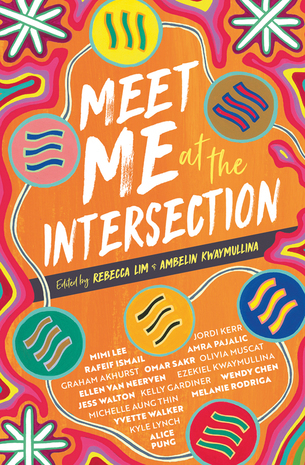 Also due out the very same day is a new YA anthology, Meet Me at the Intersection, edited by Rebecca Lim and Ambelin Kwaymullina. It’s published by Fremantle Press – my story is called ‘Trouble’, and it’s set in Melbourne in the 1950s. I’m honoured to be part of this collection of #ownvoices stories and believe it will be a very important moment in young adult fiction in this country. 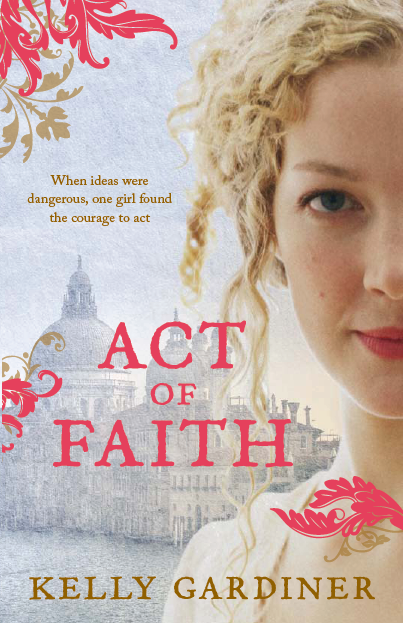 So that’s been in editing and proofreading mode too, over the last few weeks. Next up, I’m redrafting Grace and my goldrush bushranger stories. I look forward to being in their company again. I’ve booked myself a stint at Varuna, the Writers’ House, in June, to lock myself away and redraft as much as I can get through. Over on my podcast, Unladylike, Adele and I were delighted to interview three crime queens, and to release my discussion on academic writing recorded last year in Denmark. New episodes are on the way in the next week or so. And Amie Kaufman and Jay Kristoff’s grand finale to the Illuminae series, Obsidio. Right now I’m reading Karen Joy Fowler’s Sister Noon and Growing Up Aboriginal in Australia, edited by Dr Anita Heiss. Research for the Firewatcher Chronicles continues – Romans, Celts, Vikings, Saxons, Second World War – there are just so many areas to cover, and it’s all a little bit too fascinating. I’m also deep into my Creative Fellowship at the State Library of Victoria, researching my great-grandmother and key figures in the Australian suffrage and peace movements of the early twentieth century. I’ve realised that project, Sisterhood, is bigger and more complex than I imagined, so I expect to spend a lot more of my life on it in years to come. It will eventually be a kind of group memoir of an extraordinary generation of early feminists and pacifists, along with a memoir of my life in student and feminist politics in the 1980s. So it’s big and complicated and hard and all so interesting. To me, anyway. So you see, I have had one or two things on the go. And one day soon, you’ll be able to read them. Funny, isn’t it? We lock ourselves away for months or years to write these things, and then burst out of solitude, blinking against the light, to release them into the world. And then we vanish again.